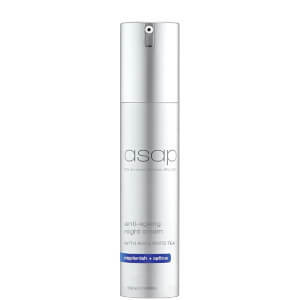 asap Gentle Cleansing Gel is a very gentle cleanser thatâ€™s suitable for day and night use to soothe irritated skin. Perfect for sensitive or dry skin, this Gentle Cleansing Gel is a 3-in-1 - removing makeup and toning as it cleanses, eliminating the need for make up remover or toner. Pimples and breakouts are minimised, rosacea and itchy irritated skin is soothed. asap Gentle Cleansing Gel is great for oily skin as it wonâ€™t strip away skins natural oils, but gives a thorough cleanse leaving behind only a fresh feeling. Contains soothing Aloe Vera and powerful antioxidant, White Tea to calm, moisturises and helps protect against free radical damage. This cleanser is an absolute godsend! My skin feels so soft, smooth and CLEAR after using it (my skin is acne-prone and incredibly reactive to most products so it's a massive plus that it doesn't cause me to break out!!!). It cleanses my combination skin well without over-drying and leaving that uncomfortable squeaky clean feeling some cleansers give. For such a gentle cleanser, it also removes make up surprisingly well. The formulation is a liquid gel which is quite runny in consistency, so a little goes a long way and the bottle will last you ages. If that wasn't enough, it smells AMAZING which makes cleansing fun! Would highly recommend this cleanser to anyone, no matter what skin type you have. Thanks again RY for providing amazing Australian skincare products at amazing prices! I have very dry sensitive skin and have always suffered from uneven skin tone. 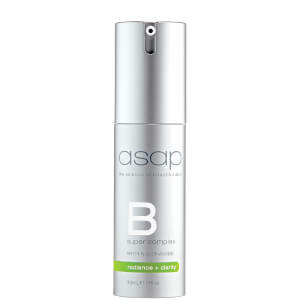 This product has really helped reduce my redness and my skin is clearer than ever. I love this product! For years I assumed all cleansers essentially did the same thing, leading me to buy whatever was on sale at coles/woolies. After I bought this along with the Daily Exfoliating Scrub and Daily Facial Cleanser, I realized the differences are night and day. The gel cleans thoroughly, leaving my face feeling soft and the smell is oddly appealing. Since I started using the ASAP range my skin has drastically improved, my skin looks brighter* (if that's a thing) and the breakouts which lead me to search for these products in the first place have almost completely stopped. I prefer the gel over the daily cleanser purely for the smell and find myself alternating between it and the exfoliating scrub every other day. This product smells amazing and cleans my skin really well. It doesn't dry my skin out or leave it oily, its just right! Price is great and a little goes a long way. I have been using this cleanser for about 6 months and I love it. It's gentle on skin and doesn't make me break out as I have sensitive skin. Also love that this is an Australian brand. Love the fragrance of this cleanser and works very well. I like a cleanser I can use in the shower and this removes my doublewear foundation well and leaves my skin feeling fresh and clean. Have been using this product for a few years now. I stopped using it for 6 months and my skin was unhealthy and had reactions to other products tried. 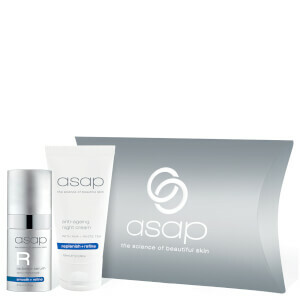 Started using ASAP again and within a few days my skin was back to being healthy and free of any blemishes. Highly recommend and for the price you pay it is good value. Simple, quick and easy! Love it! Absolutely loooove this cleanser! Leaves my skin beautifully clean, even removes makeup perfectly. Makes my skin routine simply, quick and easy. Great value considering the size of the product and seems to last well! Would definitely recommend for those that want a simple cleanser and want to skip removing make up and toner... it does it all! I was recommended ASAP cleansers by my brow lady and I LOVE them. The gentle cleanser is my favourite, it smells amazing and it leaves my skin feeling so refreshed. Definitely recommend!